Sutton, MA – December 2013 – Jay Kumar,a co-owner of Universal Plastics Corp., is boosting his family’s custom thermoforming business with the recent acquisition of Mayfield Plastics Inc.
Kumar said that the combination of the two companies will place it among the largest custom thermoformers in the Northeast, and that he plans to invest in the site to foster further growth. Mayfield, which is based in Sutton, Mass., serves a variety of industries including aerospace, medical device, transportation and electronics. The company formerly was part of S. Ralph Cross and Sons Inc., which started in 1917. Mayfield Plastics opened a new 60,000 square foot facility in 2006. It has 40 employees and about $6 million in sales. 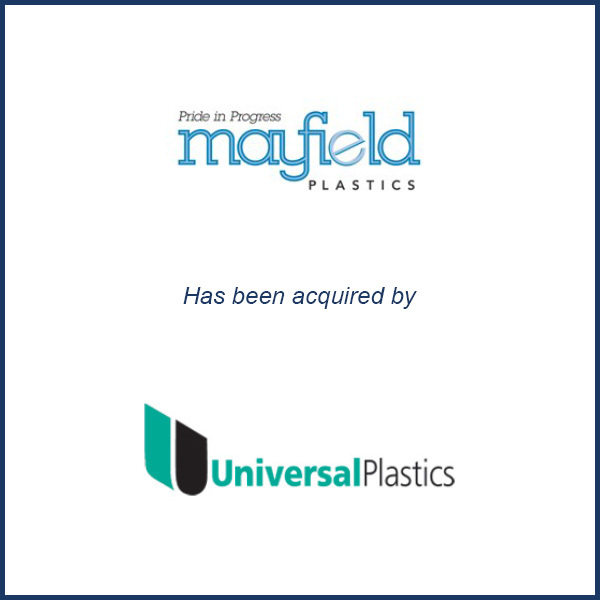 Molding Business Services advised Mayfield Plastics in this transaction. The above excerpt was taken from Plastics News. Click here to read the full article.